I was going to first write a general post about switching from a traditional school to a home schooling centre (using the Impaq curriculum) but 3 weeks into the term we’re having a rather rocky time of it. Fortunately Fjord (Grade 7) seems fine and at this point the move seems best for him. Acacia (Gr 3) has gone from being overjoyed with the new ‘school’ to being stressed and very unhappy. Below is a letter which I have just written to the principal. I shall do a follow up post later in the week. Thank you for taking time to listen to us this morning, as mentioned I had a few other points which I wanted to discuss, rather than take up more time than necessary it is better if I write down what is on my mind, this will also give you time to respond after contemplation of the below. Perhaps once you have had time to consider this e-mail we can have a follow up meeting. Making the decision to move to your school was not one which we took lightly, we want what is best for our children and considered a few options. I knew all along that the switch away from conventional teaching would be a big transition but I know several mothers who have switched to homeschooling with great success. With the standards of government schools dropping dramatically there seems to be a great wave of parents making the same decision. Having embarked on this new journey we need to feel comfortable that we have made the right choice. Acacia is in the last year of FOUNDATION phase, and that word sums up the importance of this stage in schooling. This is when foundations for the future are laid. If the foundation is poor everything built thereafter can crumble. You know the parable of the men who built on sand or rock ( Matthew 7:24–27). I know that you want to build our children’s future on base of rock but your teachers need to be on board with this vision. Are the children in Gr 3 all at the same point in their class work? 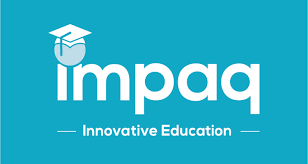 I get the impression from teacher that they are not which does not make sense to me, with the aim of passing at the end of the year they will all need to complete the Impaq curriculum. After looking at the facilitator’s guide, I was very impressed with how clearly the lesson plans are laid out for the teachers, but does the teacher follow the lesson plans for each week? However, looking through the facilitators guide (I only looked at maths last night) I also became quite alarmed. I did not have the maths book with me to double check, but if memory serves me correctly they are only on about page 9 and should already be up to page 14. Of the pages which have been done, roughly half of them have been done at home, which means that only about 5 pages have been done in class. This is a cause for great concern and I can only conclude that the facilitator’s guide is not being followed by the teacher. Common sense dictates that if the work set out for a certain week is not completed in class, this work will have to be done at home in order for the children not to fall behind. If this had been done from the start, the volume would be manageable, but now that we are already in week 4, a lot of catching up will have to be done to get back on track. This is possible but requires decisive and swift action. For instance by my calculations if we do 3 pages a day in the maths book by the end of the week we should have almost caught up. I am only talking about maths because this is the only book which has come home. I therefore urgently need to know if the children are on track with their other subjects. I get the impression that not enough work is being covered in class, as someone said to me yesterday “that place seems like a glorified day care”. I know that this is not your vision for your school and I’m sure that you will do your best to achieve the high standards which I’m sure you have set. I am not working against you I want to take this journey hand in hand with the children and educators. When we joined the school the children and I were delighted at the prospect of no homework, of course this excludes projects, speeches, studying for tests etc. but in my mind the concept of homework for the sake of homework has a very negative impact. Children need time to be children, to play, to create and to exercise, those things are vital for holistic development. Also in the past it was upsetting to have very little relaxed family time during the week, instead my husband would come home from work and tackle homework with the children instead of relaxing with them while I prepared supper. Slowly there is a worldwide trend away from the outdated homework model and I was very happy to hear of your progressive view toward homework which is in line with my own. BUT if the children are behind I can, must and will spend time getting them up to date. My expectation is that as much work as possible must be covered in class, I do not want to hear that they have been sitting doing nothing, they need to get through the syllabus, they need to be stimulated and taught. I cannot have a child who is highly academic fall behind and have doors close in the future because her foundation has been eroded. As mentioned I am desperately concerned that teacher will now target my child because she is angry, I cannot and will not accept this. If there is ever a repeat of her behaviour last week, I will request that another teacher teaches Acacia and if this is not possible I will have no choice but to home school her myself. This would only be a last resort. Until this unpleasantness, my children have been extremely happy at your school and I want them to stay with you for this journey. I want to feel comfortable that we made the best decision in our choice. There was no need for our relationship with teacher to deteriorate to this point. I have NEVER been hostile or aggressive and yet this is the manner in which she has chosen to respond to my questions. I view this as being extremely unprofessional and have lost faith in her ability to face any situation with calm, mature and reasonable behaviour. If she cannot control her emotions, it seems highly unlikely that she can control a class of children. Please let me know of any way that I can assist with my children’s education. I am more than willing to help in any way possible. I put Chad in a home school thinking it was best for him and our family as a whole because neither of us were coping at his public primary school. This was a year after Clint’s death. The amount of projects and homework was becoming too much to cope with, although the reasoning was also deeper than that, so I found a home school. It was recommended to me. It was a disaster and a lot of what I have read in your letter is what we went through. I think the owner was so glad to see the back of me but we rode it out. Something I don’t recommend and wouldn’t have under different personal circumstances. There are more bad stories of home schools than good stories. Then from a different perspective, Chad went to a small private high school based on GED syllabus and cope. However, any complaints from parents that were and are genuine concerns is taken as a personal attack on the principal/owner. This a historical thing at the school – not my personal opinion. If I had your kind of discipline, creativity and commitment, I would have home schooled Chad myself but I am not that way inclined. This is just my opinion from going through 3 different schooling systems. Hope you get a positive response and get it sorted.